Today was Bonus Day for the Rendezvous. This was the day that all the seminar speakers made their money through private one-on-one pre-scheduled sessions with Rendezvous attendees. This evening we heard from several that their experience was positive. We, however, did not sign up for any of the sessions. For us today was rest up and pack up to hit the road early tomorrow morning. Our trip to Titusville, FL is over 900 miles. As I was working outside, I noticed my neighbor doing the same. We have not met all week because we were not outside at the same time on any day. Today I saw him and he looked familiar. It was Kevin Placzek one of the Round Table hosts from yesterday. He was packing up to head to Texas. We talked for a bit then both got back to work. He left late in the afternoon. I have never done that. I always leave in the morning. I'm just a creature of habit. Last event for the day was a shower -- I don't know how I stand all this excitement. Today was the last day of the seminar. Three days is about right. My tank is just about full and I think most others feel the same. The first block was a Steve Anderson recap intended to make sure we believed we got our money's worth. Both Michelle and I feel we did. There were no unattended seminars we believed we should try to catch on this last morning. So Michelle went to The Cure for the Website Blues presented by Luke and Jody Duquette which I attended on Tuesday. 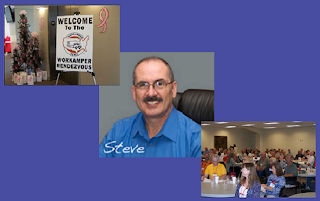 I attended What Every RV Driver Needs to Know given by Bob Hill which Michelle attended on Tuesday. Today for lunch we got back to reality with an uneventful lunch at McDonalds. Nothing more need be said about that. This afternoon was our turn to moderate a Round Table session. We related our workamping experiences to three audiences. We talked about our time at the Panhandle Pioneer Settlement, the Black Hills Wild Horse Sanctuary, Joshua Tree National Park, and included a little bit about decorating the Rose Parade Float. Everyone seemed interested and we got plenty of questions. 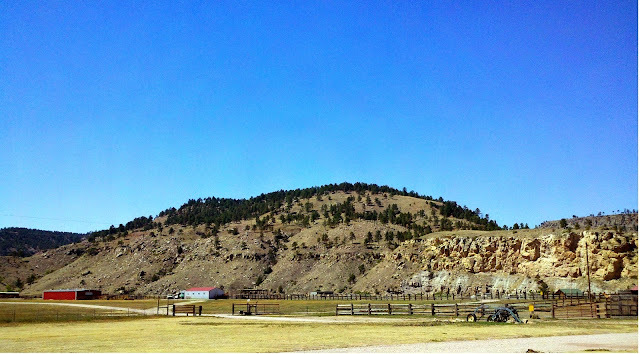 When I mentioned that our Black Hills experience was the subject of an article in the July issue of Workamper News Magazine, I got a lot of sounds of approving recognition from the audience ... "oh, you're that guy". 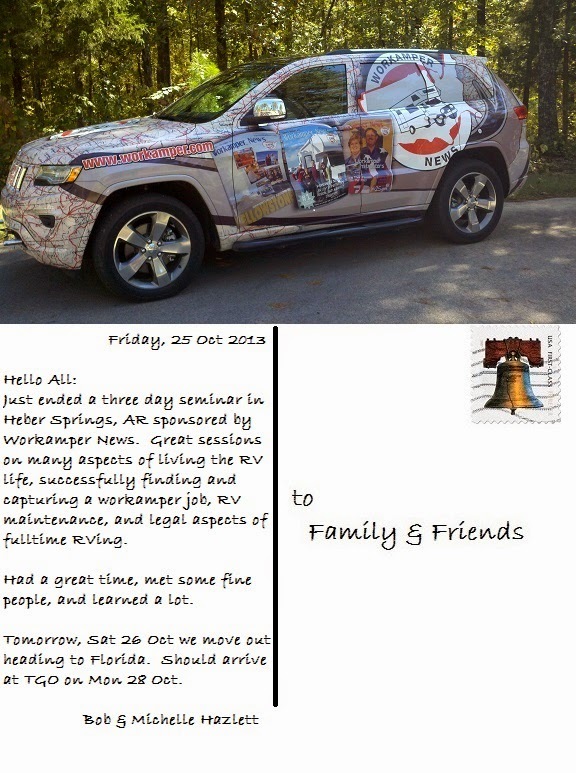 Our subscription to Workamper News expired recently. I delayed renewal hoping to get some super deal here at the Rendezvous. During this week, the two best deals for us boiled down to 1) Workamper Gold for Life membership subscription, and 2) Terry Cooper's Take Home Technician RV Maintenance Program After considerable discussion, we decided to sign up for Workamper Gold for Life ("such a good deal I got for you") now and buy the Maintenance Books later. I think Michelle attending the website seminar convinced her that the package was worth buying. The "Gold" package gives us unlimited access to every product. The "For life" offer (which expires at the end of this rendezvous) gives us that access for no additional fee for life. Since they are intending to raise prices in January, now is the time (how about that). I need to say a few words about the Book Store WKN set up here at the Community Center for the duration of the Rendezvous. 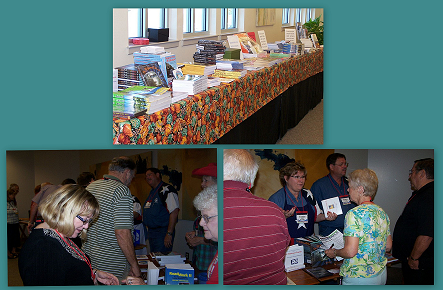 They had lots of books, CDs, and DVDs related to workamping and the RV lifestyle. It must have been good because it was always crowded and by the end almost everything was sold. After our buying business was complete, we sat around and chatted with Brad & Joy Riza for about an hour. He is a retired Air Force Chaplin. We met them on Tuesday. Somehow they learned we are also retired military and they were interested in learning about our adventures from a retired military perspective. So we are now 'new best friends'. This evening was the end of course social. 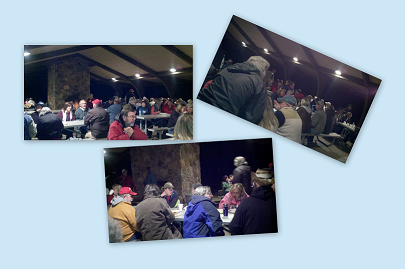 WKN sponsored a "BBQ and Entertainment Evening by the Lake" at the Dam Site Campground Group Pavilion. ... and the food was good. Yesterday I commented about Terry Cooper's cool truck. In the interest of fairness, I should say that Steve has a cool one too. 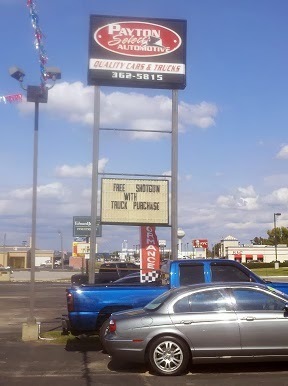 Neither is one I would use to take a lovely lady to dinner, but both have tax benefits I'm sure. Day 2 of the Workamper Rendezvous was a beautiful weather day although chilly at the start and end. We remote started the truck to warm it up before we headed for town. Everyone was in place early and appeared ready to go. For the first block Michelle and I attended together a Webinar on Campground Manager Software Training. Peter Kearns and one of his staff gave a demonstration of Campground Manager proprietary software and services offered in conjunction with it. They came to us via webcam from their office. 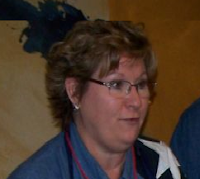 This session was a sales pitch for their Campground ManagersSoftware Certification Training. Both of us felt the software would be relatively easy to learn and I filed this one away for future reference. For my second session I took in Your RV Checkup. 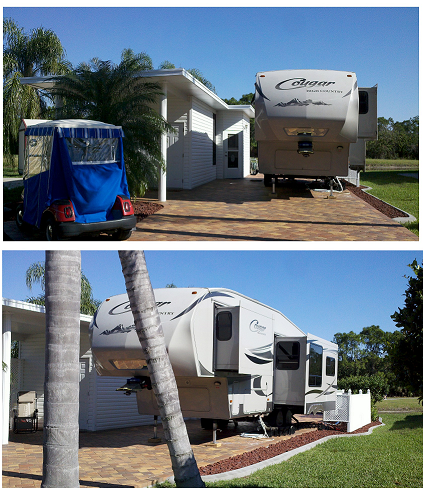 This seminar focused on developing knowledge, skills, and confidence to do your own RV repair. Our instructor was Terry Cooper. The current cost of shop labor at over $100 per hour makes me think that doing repairs myself is a good investment. ... and besides all that Terry has a cool truck. Michelle sat in on An Apple A Day Keeps the IRS Away. This presentation by George Montgomery is designed to help us understand the tax aspects of the Workamping and RV lifestyles. 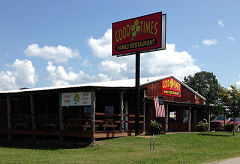 For lunch today we walked over to the nearby Good Times Family Restaurant. I had half a Muffuletta. Michelle had a New Orleans Oyster Po' Boy. We shared our table with two other rendezvous attendees. I'm embarassed to say I do not remember their names. Our first afternoon block was held at the Dam Site Campground where several attendees had their rigs open to show. Of course they were the big exotic ones with six digit price tags. However we did get to see the big cousin to our unit–the Montana High Country. There was a lot to oohh and aahh but we came away pretty happy with our Cougar High Country. Back in the classroom Michelle attended R&D Your Workamping Future hosted by Steve Anderson. He discussed why some workampers have no problem designing their future and getting the great jobs. Michelle came away with a lot of notes, which says it was a good sessions. 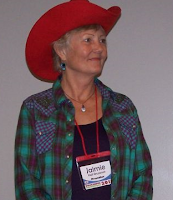 At the same time I enjoyed two webinars under the title Consider SD or TX for Your Domicile State. 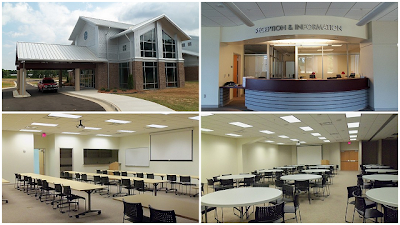 The first was offered by “Your Best Address” mail and registration handling service in Sioux Falls, SD. The second was a presentation by Shawn Loring an attorney for Escapees RV Club discussing the legal aspects of “Domicile”. I found this one particularly interesting. As we move toward our personal goal of full–time RVing and Workamping, the question of Domicile has been lingering in my mind. We capped off the day with Round Table Discussions. 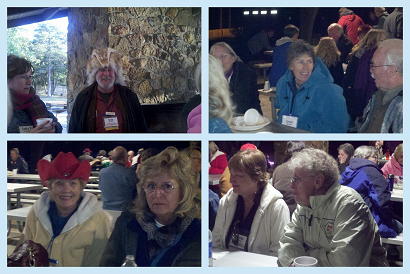 Here volunteer workampers give brief descriptions of their RVing Workamping experiences and open the floor to questions. There will be a total of eight sessions. Four today (Wed) and four tomorrow (Thu). Each session is 30 minutes and attendees rotate among the four. Michelle and I will participate tomorrow afternoon. Today we got to listen. We joined Linda Mclain and Christi ?? 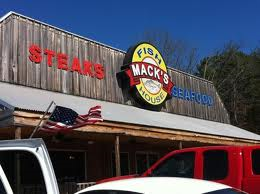 for dinner at Mack's Fish House. I had a three piece fried catfish dinner with brown beans, french fries, cole slaw, and hushpuppies. Michelle had Mahi-Mahi with baked potato, brown beans, pickled onions, and hush puppies. It was pretty tired out tonight but not as bad as last night so I braved the chilly evening and took a much needed shower. Sleeping clean always feels better. Bright and early this morning we (and most others in the campground) headed to the Heber Springs Community Center for the first day of our learning experience. The Heber Springs Community Center is an excellent venue for this event. Spacious conference rooms, ample parking, and nearby restaurants made attendance quite comfortable. After registration and a continental breakfast, Steve Anderson started with a welcome, get acquainted kickoff session designed to get us hyped up for the three days ahead. This kind of activity really doesn't turn me on but I understand the need, so I endure. For the first block, Michelle attended the session What Every Driver Needs to Know presented by Bob Hill. Devoted to safety tips, guidelines, and instructions on how to drive your RV, the seminar made everyone a better RV driver. Michelle commented that she picked up several important tips. That's good because she does most of the driving. Meanwhile, I went to the session Proven Prescription for Finding a Workamper Job given by Jaimie Hall Bruzenak. This session focused on steps for finding a workamping job that is a match for you. Several times I found myself thinking "I never thought about that". 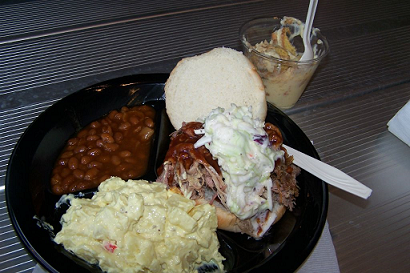 Workamper News provided a catered lunch today—giving us a chance to mingle and get acquainted with other attendees. That was a nice touch. Back to the classroom. For the first afternoon block, Michelle and I attended Taking Care of Yourself: The Proactive Camper given by Jaimie Hall Bruzenak. Focusing on proactive strategies for finding the right workamper job, Jaimie gave a host of ways to root out workamping opportunities. Many good ideas that raised my eyebrows. In the second block, Michelle attended My RV Kitchen provided by Evada Cooper. This session surprised many who dismissed it as a cooking seminar. Not so. It was devoted to the anatomy of the RV kitchen–how RV kitchen appliances work and ways to use storage space more efficiently. 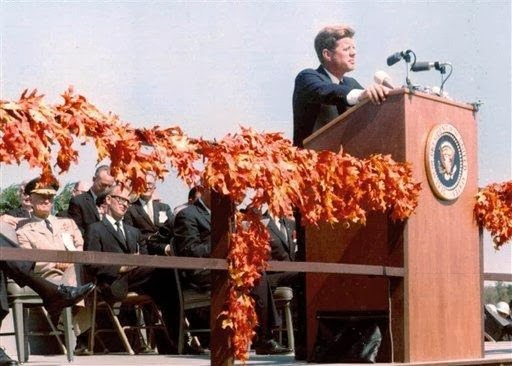 I wish I had attended that one. My second block was The Cure for the Website Blues presented by Luke and Jody Duquette. Here I got a guided tour of the Workamper News Website. This turned out to be a very worthwhile session. I have used the website previously but just scratched the surface of its capability. I learned a lot more today. By this time it was getting late and we had had enough. 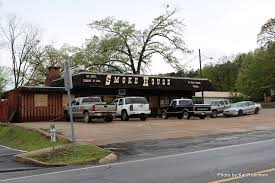 So we headed out for dinner at The Smokehouse Restaurant. There we shared a table with Linda Mclain and Leon Booth. I had a Pulled Pork Dinner and Michelle had half a rack of Ribs. We traded workamping stories as we ate and enjoyed getting to know these two folks. Our tummies were full and the fatigue of a long day had set in so we headed back to the campground and straight to bed, looking forward to another interesting day tomorrow. We had a beautiful day today but about 1900 this evening the rain started. Our first order of business was to get clean. Both of us took showers using the campground shower -- very nice. One day I'm going to write an article about campground bathrooms/showers. The quality ranges from spectacularly good to spectacularly bad. This is such a no-brainer that I am constantly perplexed about what I see. That's for another day. Before heading out, I took a little time finishing off loose ends from yesterday. 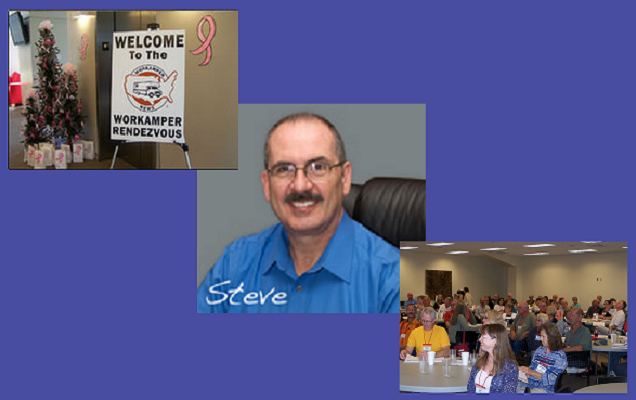 Although we did not participate, Workamper News held a Pre-rendezvous day here at the campground in the meeting room. 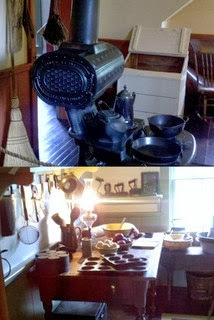 The subject was Cooper's RV Discovery Day for Dreamers and it was an all day session. We headed into the town of Heber Springs to explore. 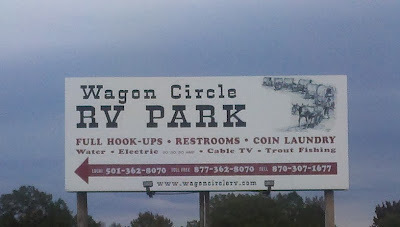 Wagon Circle RV Park is considered in the boondocks southwest of town. Driving to Heber Springs gave us a new perspective on the word "boondocks". 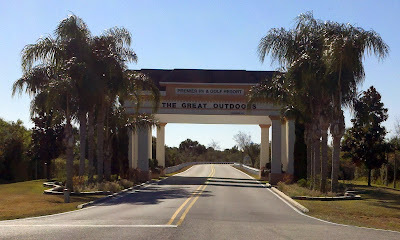 Along our five mile drive, we passed several gated communities with very expensive houses. No Klampetts here. If a summer home in the Arkansas hills is on your list, you better check out this area. With no firm plan in mind, we decided to start at the Workamper News office, which was at the far end of town from our entry point. So we got a view of the town as we proceeded. At the office, we picked up some more information about the rendezvous and the town of Heber Springs. From there we located the Community Center which is the site for the rendezvous and noted that our daily drive will be ten miles each way. Using some really bad verbal directions, we tried to find the Chamber of Commerce to get a better map of the area. Finally found it -- closed. We picked up stuff from an outdoor rack and headed to a nearby grocery store for bread. Time for lunch. We chose a Chinese Buffet and ate too much. It was OK but won't make the list of memorable dining experiences, plus Michelle developed an MSG headache shortly thereafter. After lunch we drove out of town on the north end to check out the COE campgrounds where I intended to stay if the government had not been shut down while I was making the decision to make reservations. 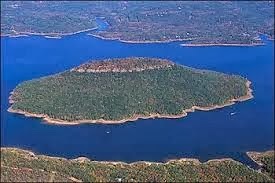 Heber Springs exists because of Greers Ferry -- lake, dam, campgrounds, and the Little Red River. 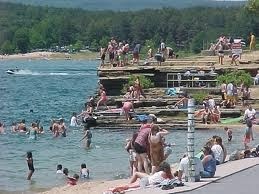 Greers Ferry Lake is a favorite water playground nestled in the foothills of the Ozarks in north central Arkansas. This 40,000-acre masterpiece pleases water enthusiasts of all types. The lake is surrounded by an abundance of rock outcropping, trees, and wildlife making it a leading tourist destination. 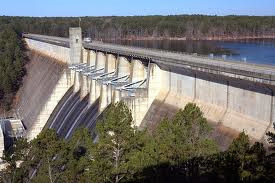 The lake, formed by Greers Ferry Dam, was completed in July 1964 at a cost of approximately $46.5 million. The lake and dam were dedicated in 1963 by President John F. Kennedy, his last public appearance before the fateful trip to Dallas. Greers Ferry Lake is noted for its pristine shoreline and deep crystal clear waters that provide a wonderful opportunity for enjoying nature at its finest. Excellent camping and hiking facilities are available. The lake has deep clean water for boating, water skiing, and scuba diving. There are vast stretches of water for sailing and other water sports. The Corps of Engineers operate 10 campsite areas with boat launches, restroom facilities and swimming beaches. There are eight marinas located on Greers Ferry lake that provide rentals of ski boats, pontoon boats, house boats, fishing rigs, and personal watercraft. The marinas provide boat service and sell recreational equipment and other supplies needed for a great lake experience. 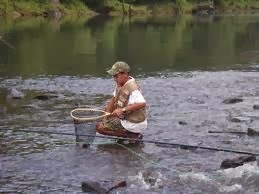 The Little Red River Tailwaters downstream of the dam provide excellent fishing. Two of the ten campsite areas -- Dam Site and JFK -- are close to town and very nice. When we checked them, they were almost empty. Either would have been a good bet -- closer and cheaper. Rain this evening. Feels good listening to the rain when you know you have all the resources you need to stay warm and dry through the night. The day started clear and cold with temperatures near freezing. The Walmart parking lot, so busy last evening, was almost empty. This was no leisure morning. We took care of bodily functions in Walmart, closed up the rig, got underway at 0747 CDT, and went directly to a gas station which fortunately was only 0.2 miles from our spot. No water dripping this morning. However, the truck tire pressure (normally 35 psi) was very low (high twenties with LOW warning light) -- because of the cold? Headed out watching the tire pressure display. Pressure gradually climbed to mid-thirties but LOW signal did not go away. I usually seek out government campgrounds primarily because I have the Federal Senior Pass which lets me camp at federal facilities for half price. Corps of Engineers (COE or ACE) by definition means lake, dam, and river. 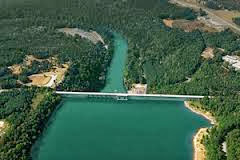 Heber Springs exists because of a Corps of Engineers dam -- Greers Ferry Lake, Greers Ferry Dam, and the Little Red River. My experience at COE campgrounds has been uniformly excellent, so I use them whenever possible and recommend them at every opportunity. This time, however, I was trying to make plans during the government shutdown. Expecting a large influx of campers for a special event, it seemed prudent to secure a camping spot at a local commercial campground. 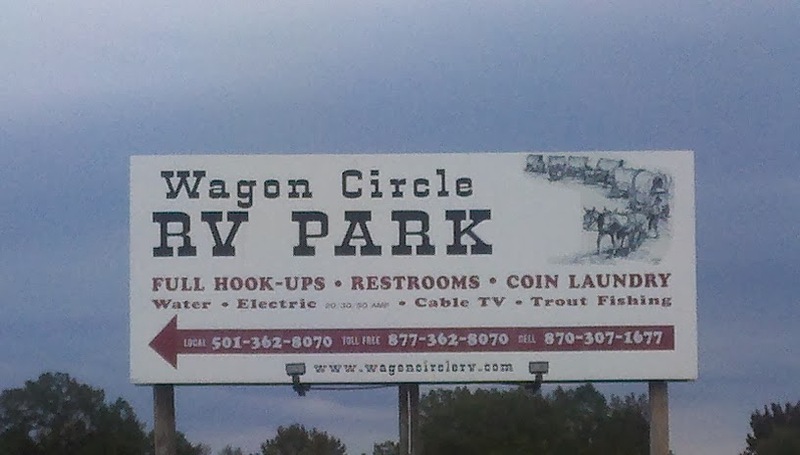 So I reserved and paid for a space at Wagon Circle RV Park. 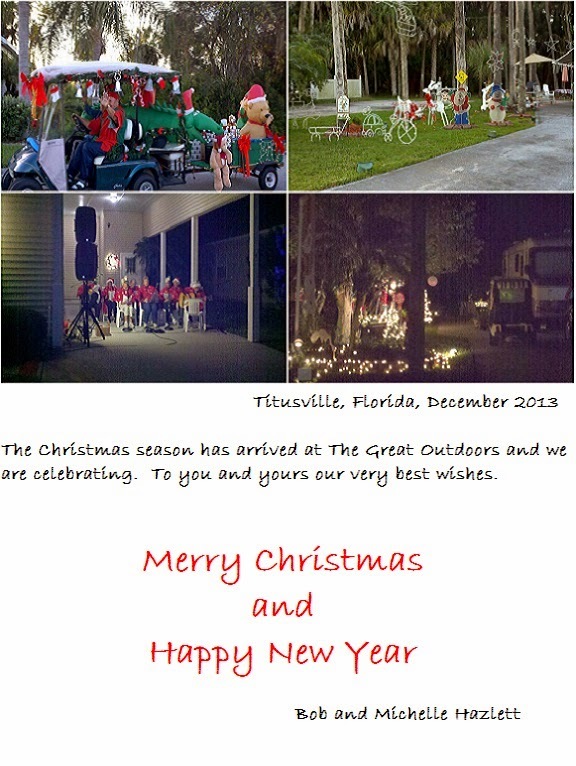 By today the government shutdown was over and the two COE campgrounds were open. Wagon Circle RV Park probably did very well because of the shutdown. Win some, lose some. Since we picked up an extra 44 miles yesterday, there was no sense having a very short day with an unnecessary stop, so we decided to press on and finish the trip today. 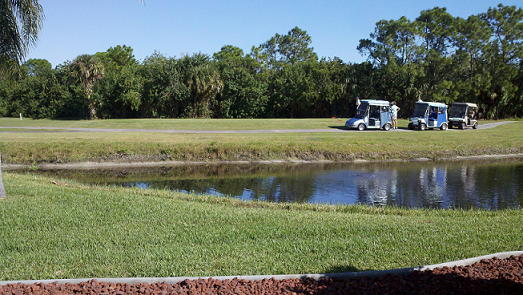 I called ahead to find out if the campground could take us a day early -- no problem. We did the 326 miles in 8:13 and arrived at the Wagon Circle campground at 1600 CDT. 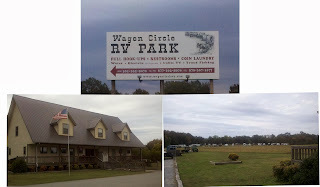 The campground is a giant field with utility and sewer connections. So we had no problems getting into a pull through site. Our adventure for today was leveling the Cougar with our new level. I bought this level primarily because I can see it in the rear view mirror from the driver's seat and the graduations are big enough to mean something. 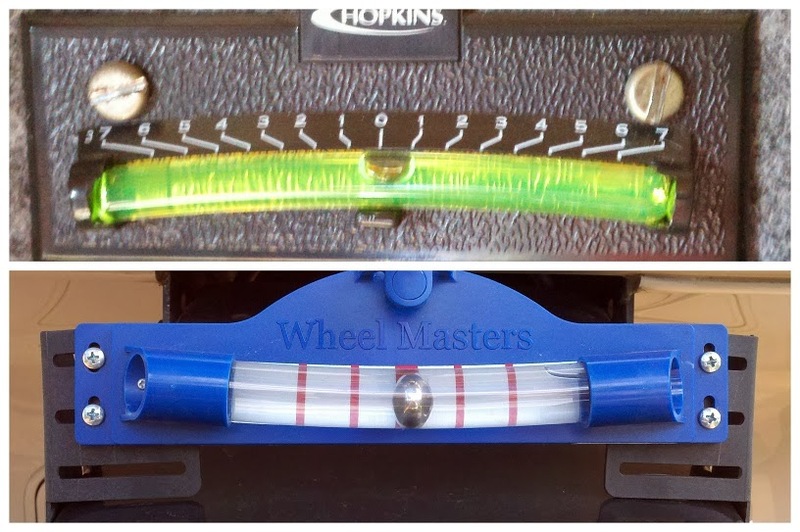 This level is a steel ball contained in fluid in a smiley face tube. Bubble levels are an air bubble contained in a frowney face tube. Bubble levels respond instantly. This level responds slowly so you have to wait while adjustments take effect. I cross checked the new level with the bubble level and with a carpenter's level several times. OK, I'm convinced both levels are giving me good information. Still concerned about a water leak, I decided to search for the leak by filling our fresh water tank and using it instead of hooking up to city water. My hope was a leak would reveal itself by causing the water pump to run frequently. The pump stayed silent so the leak is not on high pressure side of the pump. We have cable TV here, so I hooked up the TV and we relaxed for the evening. We both need a shower: that can wait until morning. We slept in the Cougar last night. That felt good because it means we are about to take off on a new adventure. All pre–departure chores were completed yesterday so this morning was easy. We hit the road at 0845 and spent most of the morning driving in the rain. We got out of it about noon as we traveled through Kentucky. 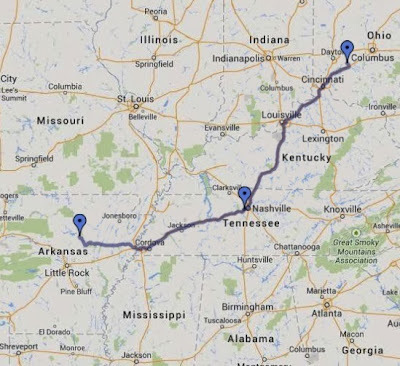 My plan was to stop at Franklin, KY just under 300 miles but we reached Franklin early and picked up an extra hour by moving into central time. 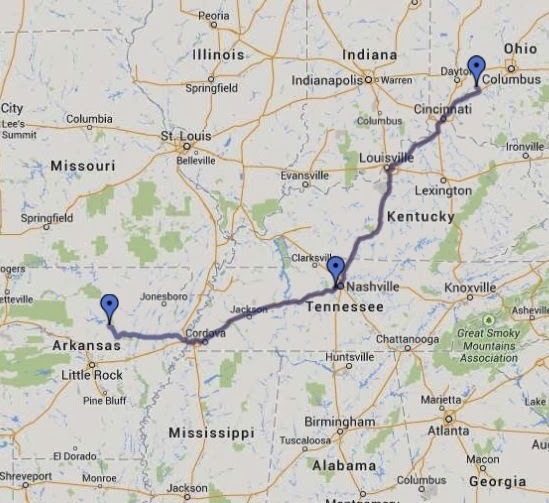 So we decided to press on to Nashville and stay the night at a Walmart Supercenter (I-40 exit 201). 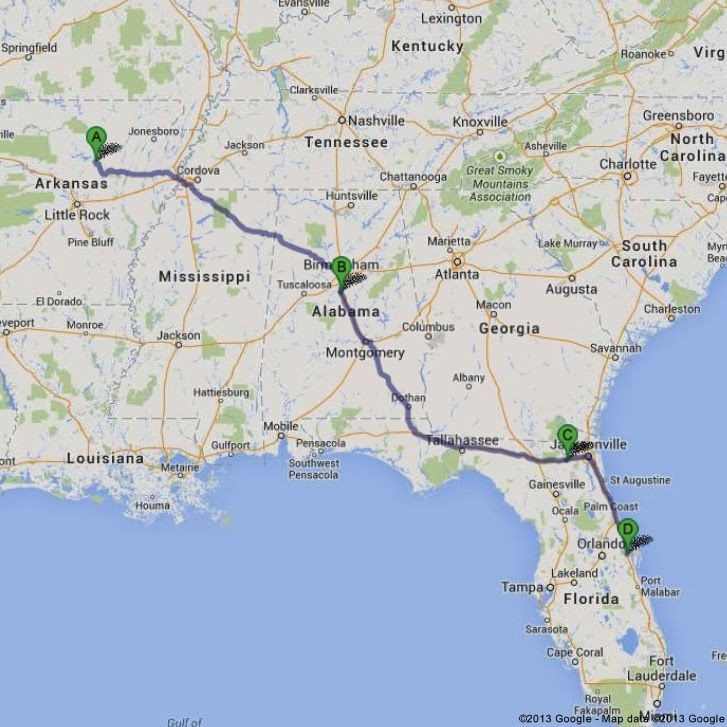 For the day we covered 344 miles in 7:50. This Walmart parking lot is very busy -- it looks like a truck stop. 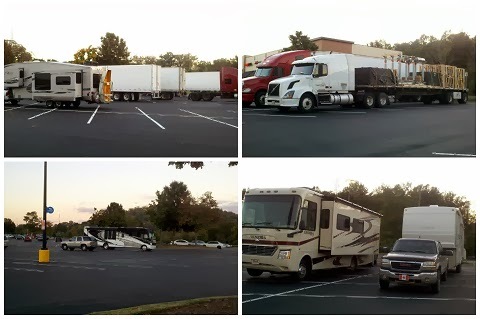 The word is really out about Walmart's hospitality for overnight parking and truckers are taking advantage of it also. I can't complain because we often take advantage of their space. During the day at one of our stops, I saw water dripping from the underside of the Cougar. Later I also discovered that one LP gas tank was empty. Shame on me for not doing a check and fill while we were home in Ohio. Another sign that my memory is just about gone. After we got parked, Michelle told me that the truck was almost out of gas. One 12v battery in the Cougar, a water leak from an unknown source, an unknown amount of LP gas, and the truck almost out of gas. Guess what I thought about all night? It's cold tonight and it would be nice to have unrestricted use of the furnace. We ran it for a little while before bed with the truck running; then shut everything down and relied on body heat to keep us warm in bed. 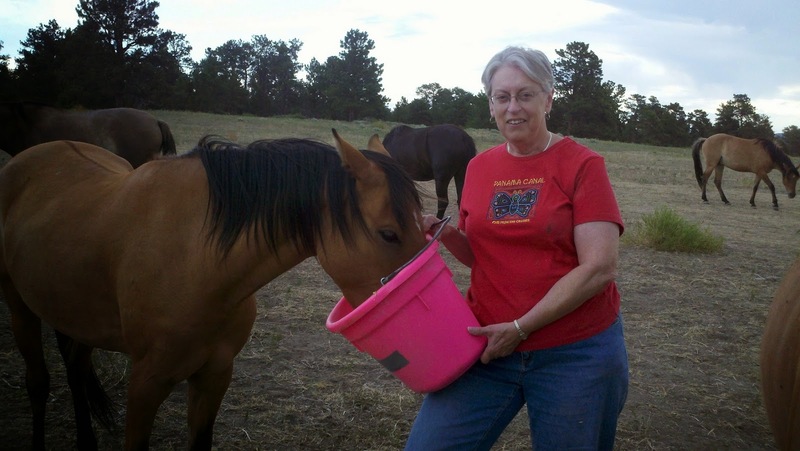 During the summer of 2012, Bob and Michelle Hazlett spent three months volunteering at the Black Hills Wild Horse Sanctuary in Hot Springs, SD. This is an 11,000 acre sanctuary for rescued Mustangs. 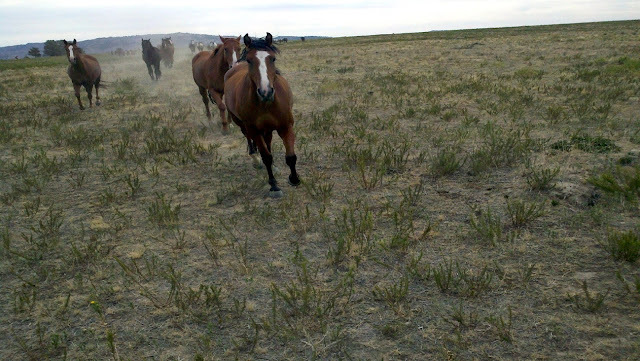 The herd is over 500 horses rescued from many places, the majority from Bureau of Land Management land. Our duties were primarily feeding and watering the horses. 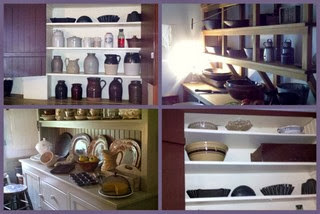 Bob also participated in ranch “fix-it” chores and Michelle worked in the Visitor Center Gift Shop. 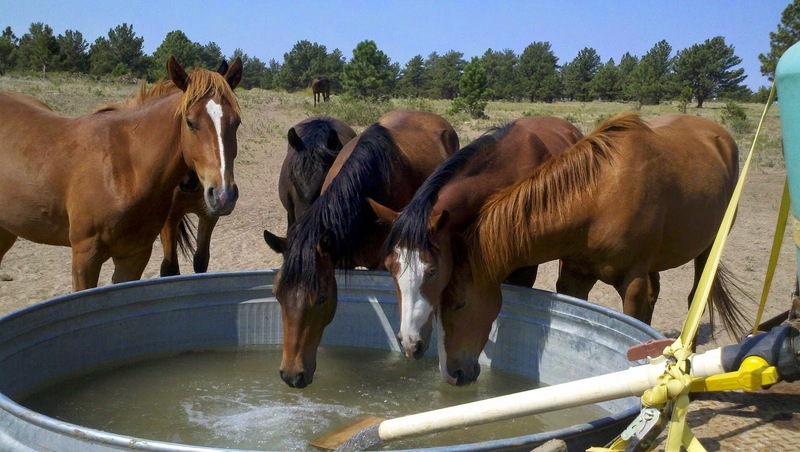 How do you feed and water WILD horses? With a truck of course. Our job was to disperse what could be considered nutritional supplements to the primary food source which is grazing on the natural landscape. We hauled water to 700 gallon water troughs located at various places in the hills around the ranch. While doing our chores, we always kept a sharp eye out for horses that had been injured. While we were there, one horse was bitten on the nose by a rattlesnake. She had to be caught and transported to the ranch for treatment. Horses always travel in pairs, so her friend had to be rounded up and brought along. A few weeks later we watched an obvious celebration when those two horses were released back into the herd. There was no mistaking the joy being felt by all the horses at the return of their comrades. One day we saw a young horse limping badly. Close inspection revealed a nasty cut on her right front ankle. For the next two weeks we carried a bucket of feed mixed with medication. It took a couple days to get her to come close and eat from the bucket. From then on she expected the special treatment and came running to us every time she saw the feed truck … and of course we had to have a bucket for her friend. Many of the horses have been given names by the ranch hands. This is Bella who we medicated for about two weeks for a nasty ankle wound. All God’s creatures – two legged, four legged, slithering and flying – fear fire. 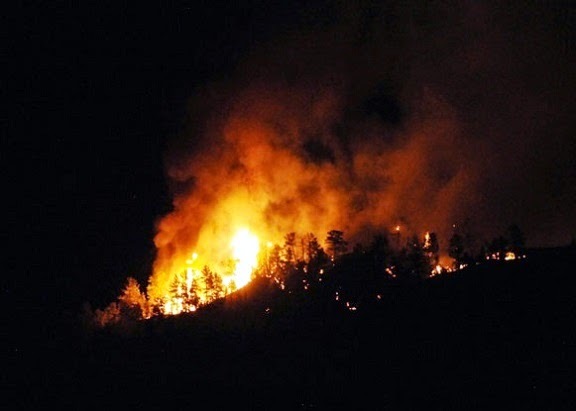 The summer of 2012 was a bad time for fire in the western US. 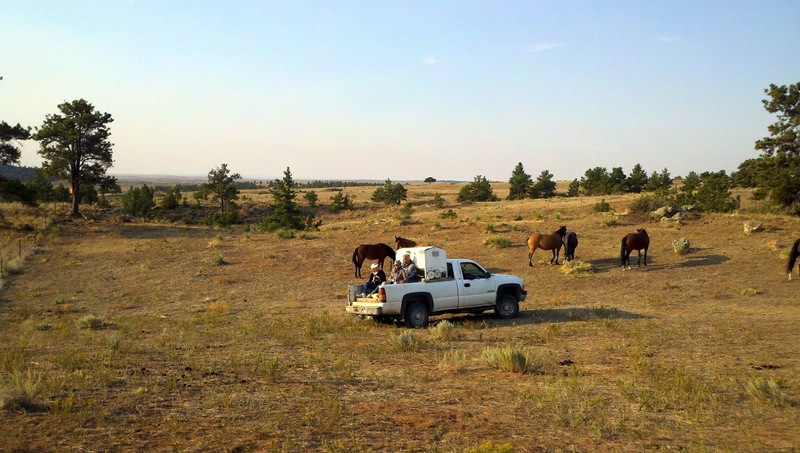 High temperatures and no rain made places like the Black Hills Wild Horse Sanctuary a tinder box. Dry lightening caused many fires in the hills around the ranch. Both Bob and Michelle are city folk. "We have no ranching experience in our background. WorKamping adventures like this give us a way to experience completely different lifestyles. We look forward to many more". Rain was on the menu all day today. Although it was a good day to stay inside, you can't afford to do that when your caravan will be stopped here for only a day or two. If you want to see anything, you have to get out every day no matter the weather. So today we went sightseeing to the north shore of PEI. 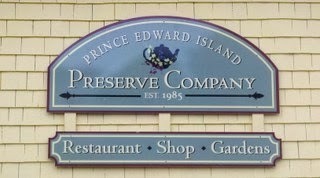 Our first stop was at Prince Edward Island Preserve Company in New Glasgow. We spent a couple hours here tasting our way through the wide assortment of Hot Sauce, Preserves, Fruit Sauces and Syrups, BBQ Sauces, Salsas, Cranberry Sauce, and Spices. 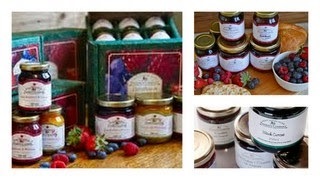 Their products are available in several different sizes and gift box combinations. As a bonus they ship anywhere in North America for $10. We put together three assortments of 125ml jars for Tricia, Amy, and Naomi, and then bought some for us. We love good tasting food, good caring people and Prince Edward Island. We have made it our mission to produce or purvey good tasting food; making sure that the highest quality farm gate produce and ingredients are used. 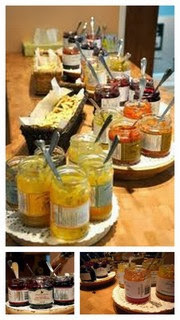 Food was the beginning but we have grown to include a wide range of services including restaurant, gift shop, and gardens. 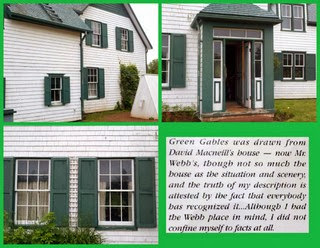 On to Green Gables Heritage Place in Cavendish. Michelle has been anticipating this stop since before the caravan started. 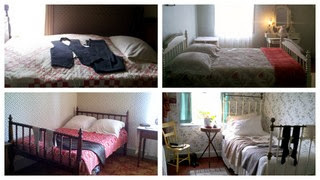 This is the home of L.M. 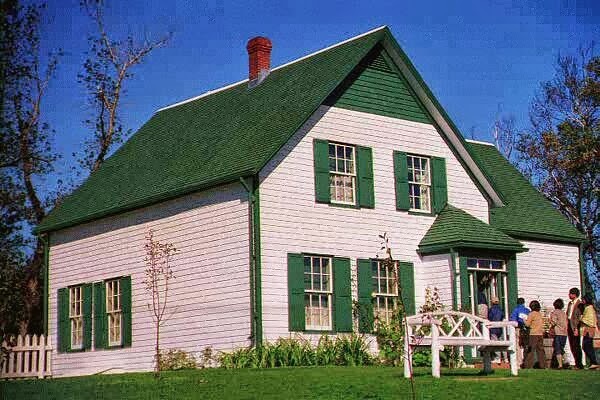 Montgomery, author of Anne of Green Gables. Michelle enjoyed our visit here and I learned a lot. 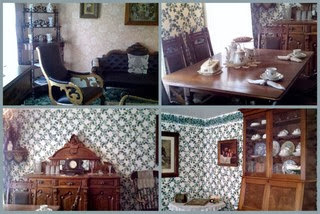 We left Heritage Place and moved on to Avonlea Village a short distance down the road. This is a commercial theme park with a significant entrance fee. The parking lot was empty and it was raining hard, so we decided to press on. 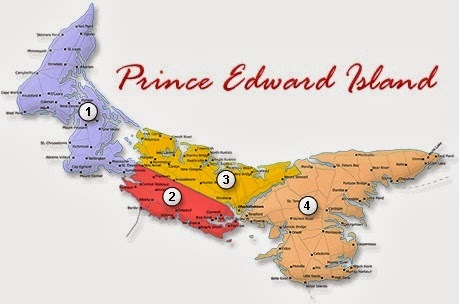 The tourism industry on PEI has divided the island into four regions and laid out several coastal drives as a good way to see the island and everything it has to offer. 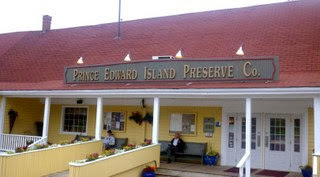 After Green Gables, we tried to do the "Points East Costal Drive" to East Point Lighthouse. This drive takes you around the perimeter of region 4. 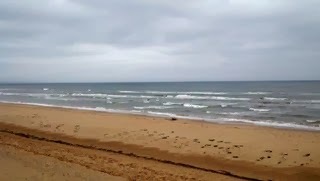 We made it to Prince Edward Island National Park -- in the US it probably would be designated a national seashore. We soon decided East Point Lighthouse was too far and the rain was making the day miserable. After a short distance along the northern shore of the island, we gave up, turned around, and headed back to the campground where we settled for late lunch/early dinner at the China King Buffet in Cornwall. Nothing here to write about, so I won't.